App Builder Appy Pie: In this post, we are going to talk about why users stop using a mobile app they downloaded and then suggest 10 greatly effective ways in which you can bring them back to your app! This is a world of instant gratifications and many diversions! In this market it is becoming increasingly difficult to retain the customers for long. Now, the users that we mentioned in the third point above have not all abandoned your apps entirely. Now, let’s take a look at the real reason why these users have become inactive, before giving you 10 amazing tips that would help you bring back these inactive users! Why Users Leave A Mobile App? If you have been having trouble getting your inactive users back to your mobile app, this blog is the perfect spot for you! 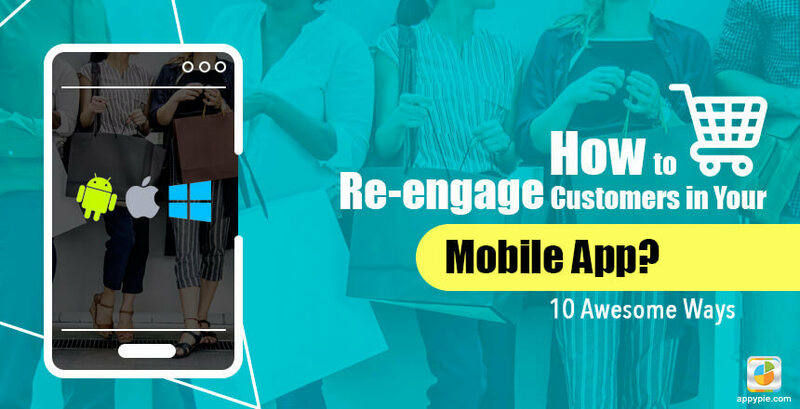 There is a world of options for you to begin working on regaining the interest of your consumers from making tweaks to the app, sending out well worded & targeted push notifications, to email marketing campaigns. These measures and the ones listed below can work wonders for you, if you are trying to bring back the one-time customers or those indecisive customers who probably left something behind in the cart! Who doesn’t like a bit of a gaming experience to make things interesting? Games can actually become one of the most fun and effective ways to re-engage customers who have been inactive for a while. It is an inherent trait of app users to seek rewards and they tend to enjoy gameplay quite instinctively. You can make use of gamification to lure them deeper into your inventory and thus motivate them to complete the transaction. One of the most successful examples of this is Bonobos who leveraged gamification as a technique in quite an effective manner as they collaborated with a different retailer by hiding models wearing their clothing all through their website. Those users who could identify these models on the website were then rewarded with a coupon. These techniques and more can be used to bring the users back to a particular product page in the app instead of bringing them to a landing page which would force them to search for a particular page that they want to get to. 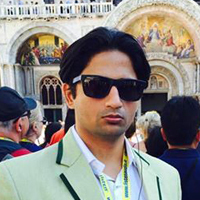 As the app developer or app owner, it is natural to be attached to every element of it. However, it would do you well to remember that eventually the app is for the users! There would always some features that you are in love with, but the app users might not be enjoying them as much! In fact, there might also be some minor tweaks that the users are looking for, and willing to come back to your app for! Make sure that you are experimenting with new tools all the time and with the timing when those would be implemented in the app. You would be surprised to see how many app users are actually waiting for a reason to come back to your app. 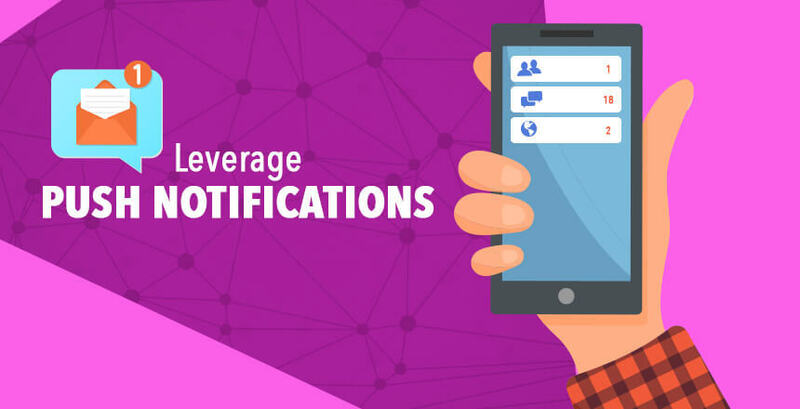 There is a good percentage of app users who opt-in to receive the push notifications, hence it is a good idea to plan a strategy that makes good use of it. But you should be careful not to send out random push notifications to each of your subscriber. Did you know that in 2017, products worth $35.9 billion were purchased with a mobile device in the holidays? This fact snippet indicates that more frequent notifications sent out during the holidays can effectively increase customer engagement and boost the revenue. Loyalty programs have been around for a long time, but the way they are offered has changed in a big way. The loyalty programs offered through mobile apps have proven to be quite effective when it comes to re-engaging inactive app users. Loyalty programs that involve accumulation of loyalty points and then later redeeming them in exchange for exclusive offers or some discounts on their future purchase convey to the customers that the brand or the business cares about them. When you add incentives in exchange for repeat business, you are going to increase engagement while making sure that they do not go elsewhere looking for the same products you have on offer for them. When your loyalty program is designed in harmony with your gamification strategy, the cumulative impact is exponential, bringing you much higher revenue by encouraging the customers to acquire more points. There is still some reminiscent hesitation among app users about making a purchase because they miss the tactile element. If it is furniture that they are buying, they may have doubts about how the space would look with the piece in place. If it is an accessory like sunglasses, they might be unsure about how they are going to look on their face. In online shopping, customers are unable to touch or try on the products that they want to buy. 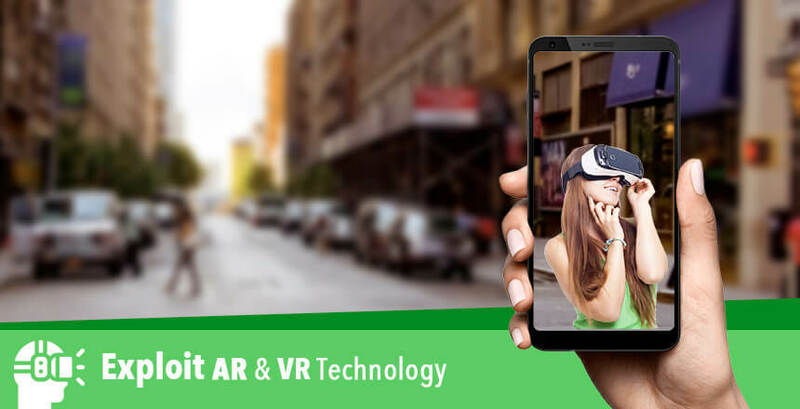 This is where Augmented Reality (AR) & Virtual Reality (VR) come in, and display a promising potential to take care of this specific issue and improve the overall experience. This survey actually demonstrates that 40% of the shoppers are willing to pay a higher price for a product if they experienced it by way of Augmented Reality. This kind of technology lets the shoppers see how the products would look in a particular space in their homes, on their bodies if they were to superimpose the images of these products on the real-life images or photographs. Sephora lets you do this and try on your makeup virtually, Gap and many other brands actually encourage people to “Try On” their clothing in virtual dressing rooms, and IKEA is making it possible for their app users to virtually see the furniture pieces in their living space. True, our emails are filled with junk mail that we are fighting to avoid all the time, but when an email is beautifully crafted and is highly personalized it has the potential to turn into a highly effective tool for re-engaging the customers. Email campaigns can be of many kinds, and they can be designed particularly around reminding the app users of their abandoned shopping carts. You can let the customers know that you would like to come back, by using effective email subject lines like “We Miss You!” and then craft an email which would remind them of the products that they might have browsed through earlier. This is a great way to motivate them to complete a purchase. Apart from this you can also design more generic email campaigns which may have crisp, informative articles that talk about the benefits of the products or services you are offering. This can be great for generating their interest in your brand and offerings. This makes sense for those business owners who have a brick and mortar store in addition to their app. Beacons can turn out to be quite important in closing up the gap between your in-store customers and mobile customer base. The devices use Bluetooth Low Energy (BTE) technology to track when the app users are in a store or in the vicinity by communicating with their smartphones. When information about the users’ location is combined with all the data about the buying behavior of customers is combined, beacons can send well timed notifications about products and deals before their customers have moved out of that area and gone back home. This buying behavior is essentially anything from in-app purchases to their browsing history. There will always be a certain section of your app users who have left and are not really open to coming back to your app. This section of the app user population can be brought back to the app by use of well-designed surveys. As a social being, it is only natural that people would give their opinion and like to do so even more when they believe that their opinions matter. 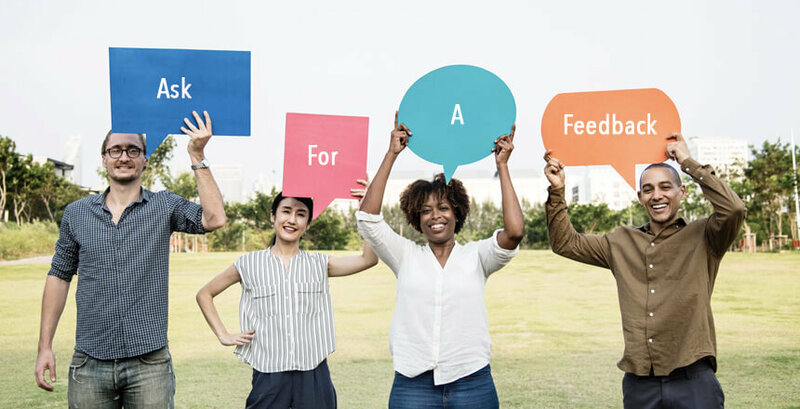 When you run a campaign to get the feedback from your users, you not only assure your users that their opinion is valuable, but also get invaluable information that can be put to great use in enhancing the app overall, thus preventing app abandonment. You can ask for feedback from users in the form of a “Pop Up” as the users try to uninstall your app or has been inactive for a considerable period of time. If you have deeper pockets and are willing to invest your time, energy, and money more generously then you can also schedule certain in-depth phone or email interviews with users who have been inactive for long in order to develop a greater understanding the real needs of the targeted customers. When you conduct these surveys, you send a clear message that you care about your customers and the experience they have with you. This goes a long way in motivating the inactive app users in re-engaging with your app. If the app users have to go through a complicated process or a series of unnecessary steps in order to make a payment on your app, they are definitely going to feel annoyed. The customer is ready to make the payment, you can’t possibly be making them jump through hoops for it! When you make the process of payment or purchase easy for the customer, the chances of them making a purchase is definitely greater. These tips were collated after a deep research over a period of time. It involves looking deeply into the user buying behavior and the patterns of use within the app. Leveraging these methods and developing a plan or strategy that is built around getting the app users back on to your app is one of the most crucial steps for a sustainable business with a steady rate of growth in the long term. If you have ever used any other strategy or have seen it being used by someone else, bringing great results for the business, we invite you to let us know in the comments section. We love hearing from our readers! How To Increase In-App Purchases?